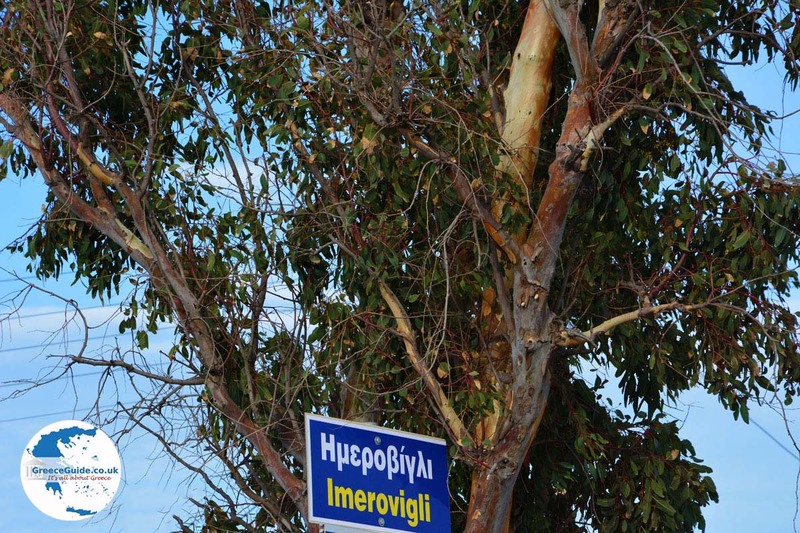 IMEROVIGLI. Imerovigli is one of the most photographed places in Greece. 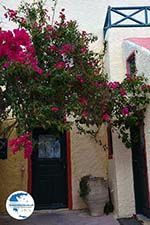 Imerovigli is a picturesque village on the Greek island of Santorini, located north of Fira (3 km/less than 2 mi) and very close to Firostefani (1 km/less than a mile). 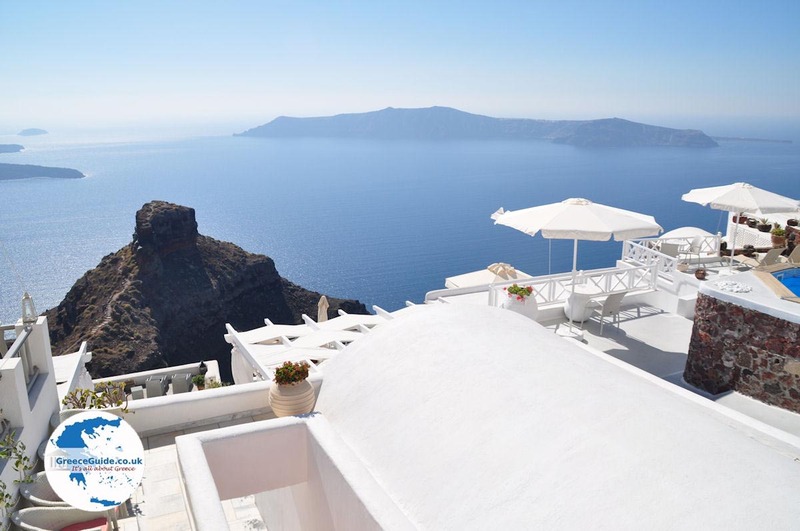 It is the highest village on the cliffs of Santorini's caldera at 300 meters (nearly 1,000 ft). 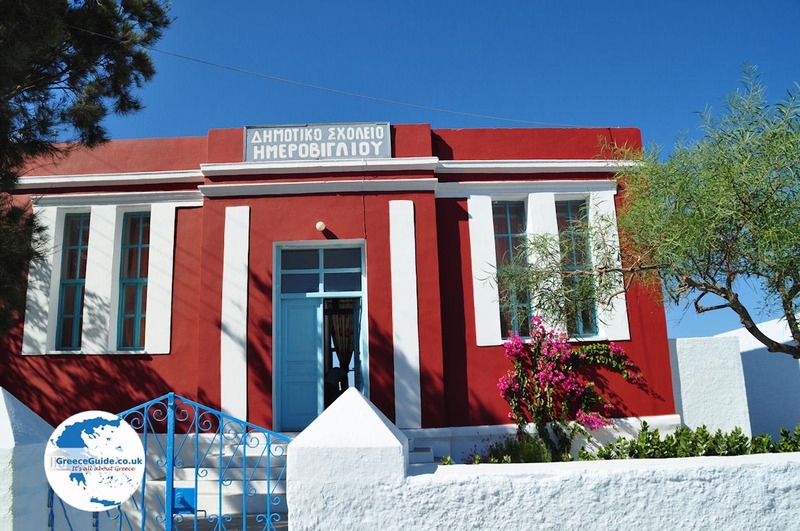 It has the traditional Cycladic style and is designated an historic village by the Greek government. 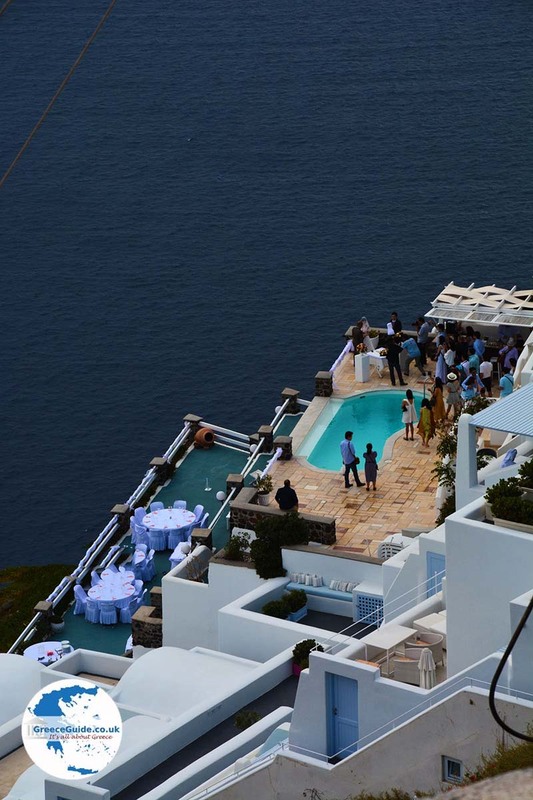 Firostefani is, just like Fira, built on the edge of the steep cliffs of the caldera. 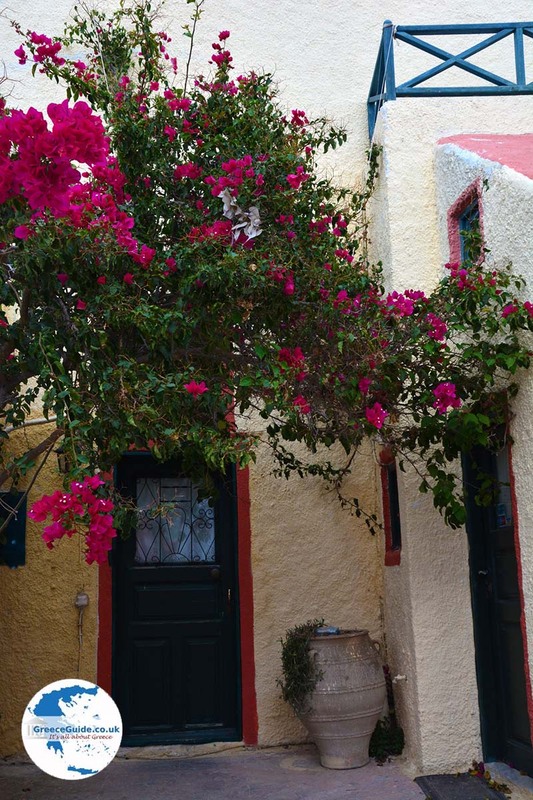 Its narrow, cobbled streets and views to the sea and surrounding islets are truly fascinating. 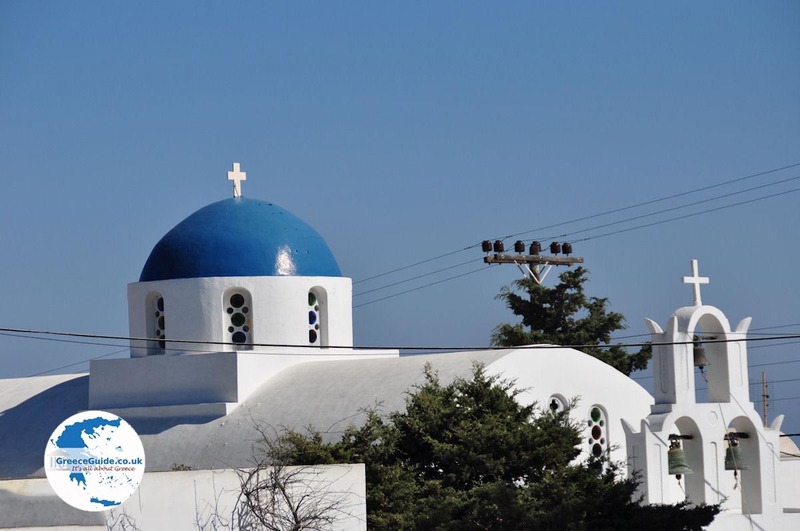 The Aghios Nikolaos monastery, dating from the 17th century, is located in Imerovilgli (also called Merovigli). 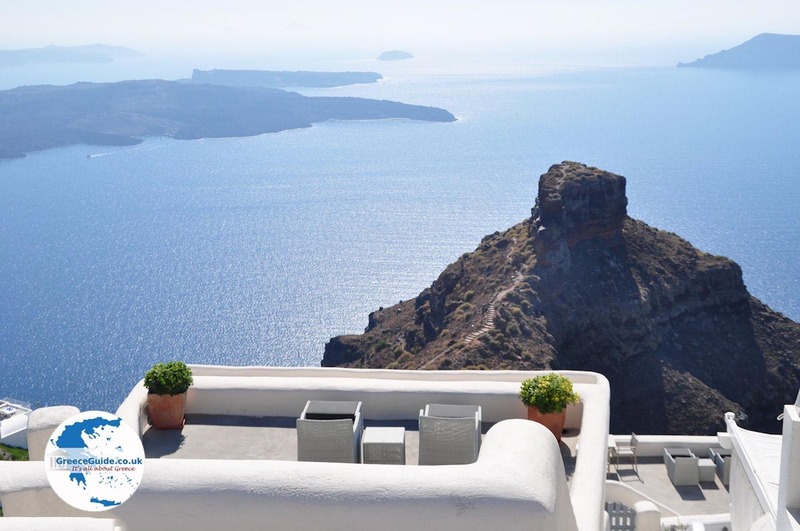 Nearby, on the top of Skaros, are located some remains of a Venetian castle from the Middle Ages built by Markos Sanoudos. It was destroyed in 1817 in a catastrophic earthquake. 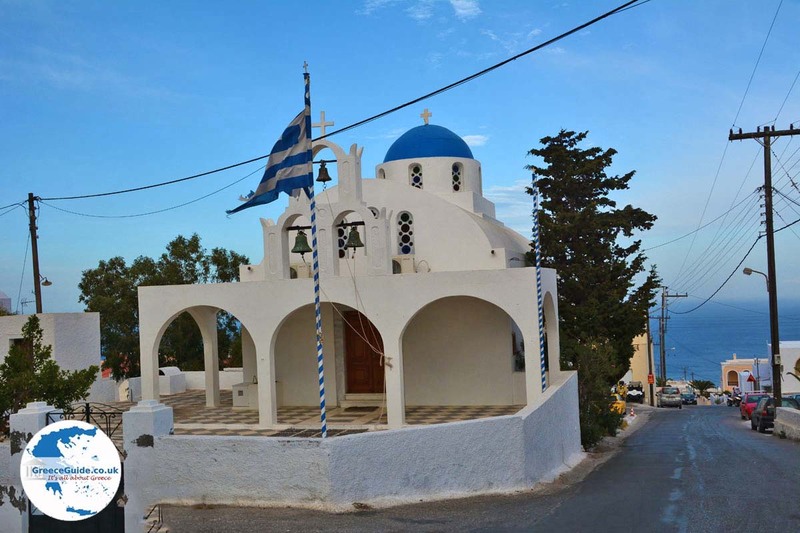 A little further you will see the church of Aghios Georgios, which is built on a large rock and with stunning views to the sea. 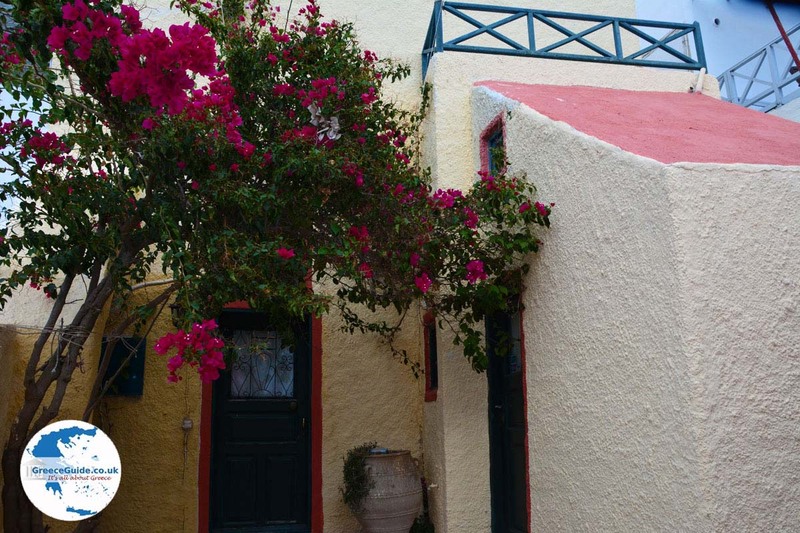 In Imerovigli are lots of great restaurants, shops, cafes and bars. Those who love nightlife will have a good time here. 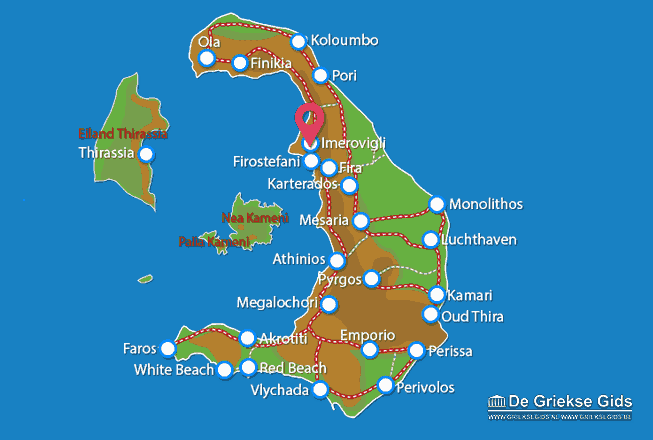 Santorini: Where on the map is Imerovigli located?